The custom watertight GFI with flip lids means you can use this adapter in any conditions. 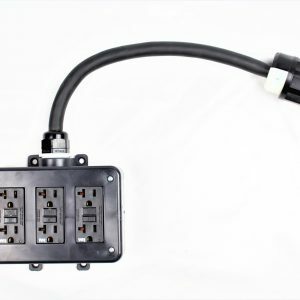 Multiple outputs make this adapter a radically flexible addition to any power system. Three feet of cable make setting up easier. 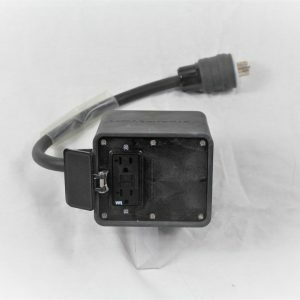 If your power system needs to stand head and shoulders above the rest, this is the adapter for you. We have poured over 30 years of industry experience into three feet of cable, and this revolutionary component is the result. It features three outputs within duplex receptacles made watertight by flip lid covers, but that’s not all. 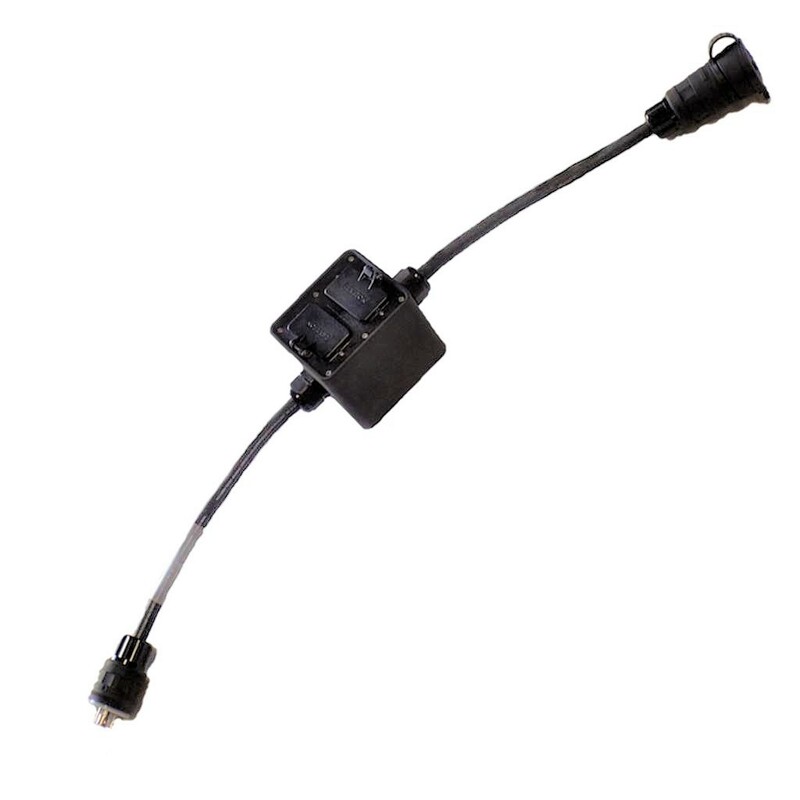 It also gives you a radical wetguard connector capable of delivering 120/208v. This means you can use it in almost any situation. CUSTOM WATERTIGHT GFI PROTECTED TRIADAPTER. INCOMING: 1 EACH 20 AMP, 120/208V (NEMA L21-20) WETGUARD PLUG ON 3′ OF 12/5 SO CABLE. 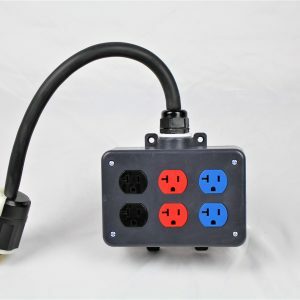 OUTPUTS: 3 EACH 20 AMP, 125V (NEMA 5-20 GFI) DUPLEX RECEPTACLES WITH FLIP LID COVERS. 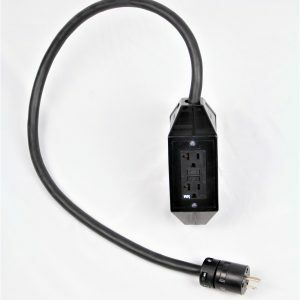 1 EACH 20 AMP, 120/208V (NEMA L21-20) WETGUARD CONNECTOR ON 3′ OF 12/5 SO CABLE.